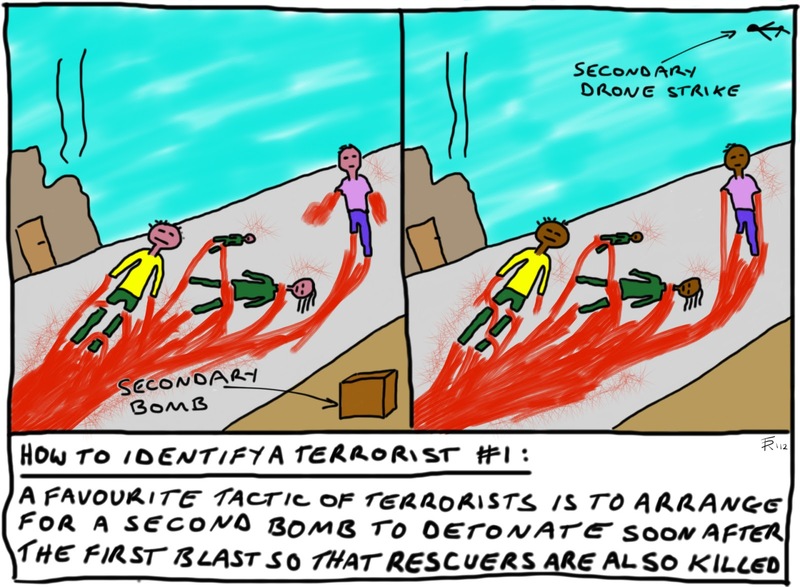 October 24, 2012 in "cartoon", "drones", "government-force", "war"
"The US government has long maintained, reasonably enough, that a defining tactic of terrorism is to launch a follow-up attack aimed at those who go to the scene of the original attack to rescue the wounded and remove the dead. Morally, such methods have also been widely condemned by the west as a hallmark of savagery. Yet, as was demonstrated yet again this weekend in Pakistan, this has become one of the favorite tactics of the very same US government."